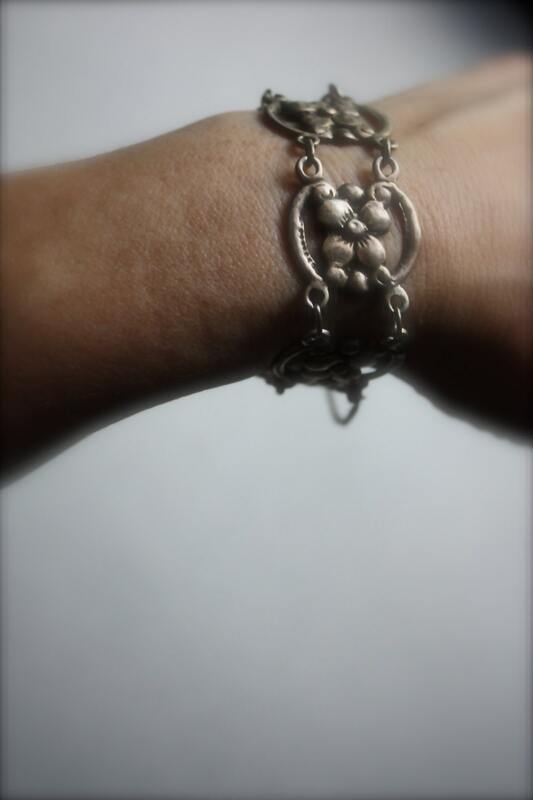 This bracelet is marked "sterling" and the safety chain is marked "CACO" and "sterling" on the spring ring clasp. I believe the safety chain was a later addition but I cannot be certain. If the chain came with the bracelet, I believe the bracelet would have the CACO mark as well, and it does not. The sterling mark was popular prior to the 925 designation and after the term "coin" was used to designate the particular grade of silver, prior to the use of "sterling." I am estimating this piece as being from around 1930. It has the characteristics of Art Nouveau design, and this along with the sterling designation would put it in the early part of the 20th century. The only thing stopping me from attributing an earlier date is the catch. 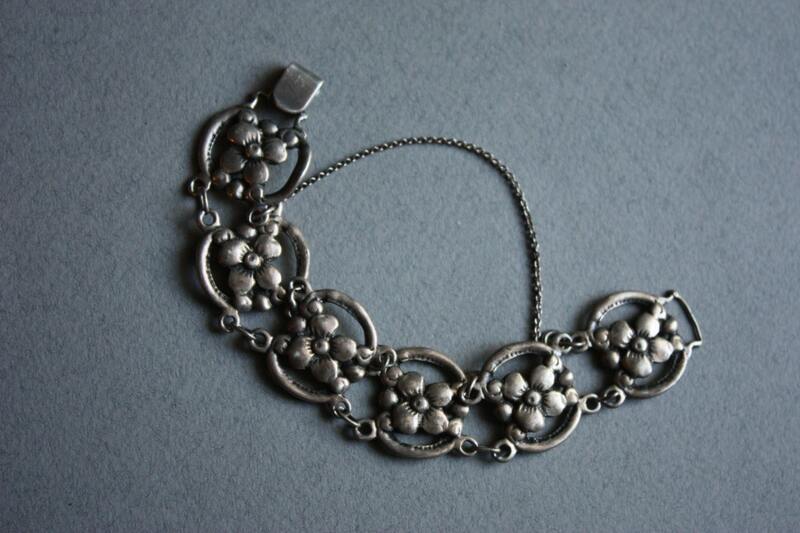 The bracelet weighs approximately 1.1 ounces or 31 grams and is 7" in length from end to end (including the closures). I've not cleaned the bracelet as some prefer the patina. It could easily be cleaned if one wishes to do so. Shipping is via Priority Mail and includes insurance.